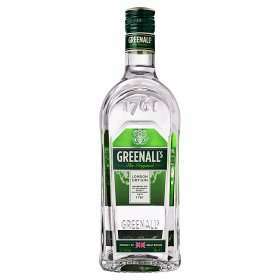 Greenall's The Original London Dry Gin 70cl down to £10 in Asda. 1litre is £16. It's online and in-store from what I gather. It may not be a top notch gin but I like it and it's perfectly fine to turn into sloe gin. 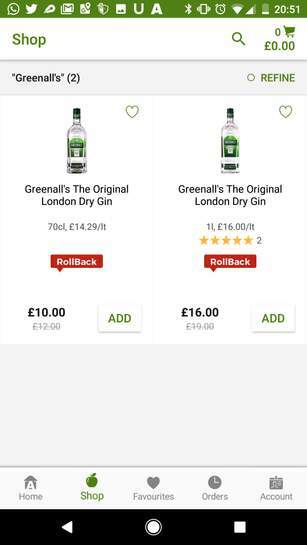 There's plenty of other discounts on the more premium gins too. Is this for 70cl or 1 Litre? Under £15 a litre is always a bargain in my eyes. Sorry I did actually mean to add that info. I'll do it now. So it's cheaper by volume to get the 70cl size than the 1 litre. HAving said that, gin is gin, so stick it in a cold mixer of ginger ale, bitters or bitter lemon and youre good to go. Agree , Aldis is better, Tanqueray is best, Bombay is on offer, and their london gin cheaper and tastier than this. p.s. went for 1 litre as its £15 per litre, same as asdas own brand stuff. Agree with northantspete its not the best even at this price. That's your opinion, like it was in the Dark Souls deal.